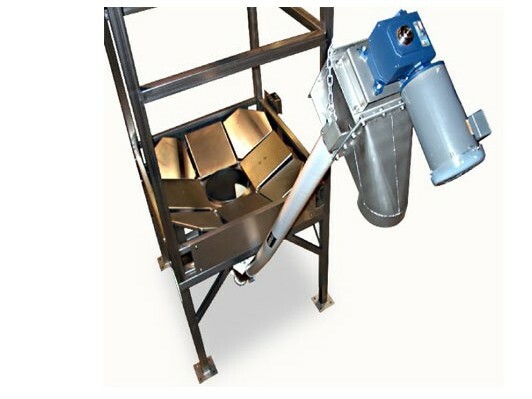 Industrial screw conveyors handle all kinds of different substances, including powder, sludge, dust, flakes, granules and other loose products like seeds, food waste, wood chips, cereal, grain, boiler ash, fuels, feed and cement. In addition to transporting materials down a linear plane, industrial screw conveyors also aide in the mixing, agitation or breakdown of some substances due to their rotating motion with the screw’s paddles. While they are most frequently used in bulk handling applications, screw conveyors are popular in agriculture as components of farm machinery like threshers or balers. They can also be used to transport animal feed, grains and seeds to different locations. The food processing industry also uses industrial screw conveyors to transport dry ingredients like salt, flour, nuts and other dry or semi-dry raw material used to produce food products. When used for the transportation of sensitive products, these conveyors are usually made from food grade stainless steel, which has a smooth surface and is less likely than many other metals to harbor contaminants. Screw conveyors are also popular within the construction industry when mixing dry and wet materials to form cement or plaster. Industrial screw conveyors have three different orientations: horizontal, vertical and inclined. Horizontal conveyors transport the material in a linear direction and only require a trough. Vertical screw conveyors carry material straight up and down and require a tubular casing to hold all the material inside. They are frequently needed when material must be transported from a receptacle low to the ground to one that is very tall. 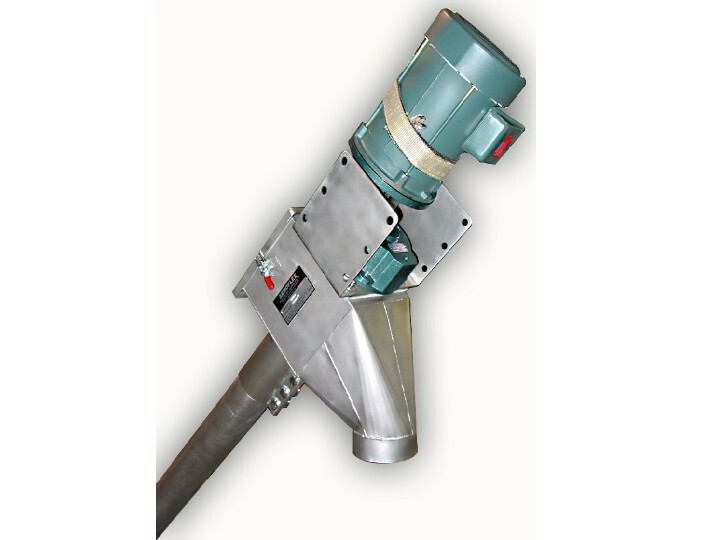 Compared to bucket elevators, vertical screw conveyors are lower maintenance and provide continuous conveying. Finally, many applications require the use of inclined screw conveyors, which are set at an angle. They require ample space and an increased amount of power to lift the material, but their slant economically transports bulk material between facility floors. Some are portable and mounted on stands, carts or vehicles and may be moved around a facility. These conveyors transport loose, dry materials to and from vats, silos, rail cars, barrels, trucks and pits. They are usually powered by an electric motor, although some harness the energy from nearby machinery like a trailer’s power take-off shaft. Standard industrial screw conveyors are composed of all metal components. However, some screw conveyors that are used in the food processing and production industry are made out of injection molded plastic and can withstand high temperature and impact without contaminating the products they move. Industrial Screw Conveyors Industrial screw conveyors are bulk material transportation systems composed of a rotating, spiral screw inside tubular casing or a trough. As the screw rotates, dry or semi-dry bulk material is pushed forward through the conveyor from one area to another.